From glaciated valleys in Alaska to the jagged peaks of Mont Blanc, Union Atlas snowboard bindings offer seamless integration with your board plus stiffness and response for all-mountain shredding. 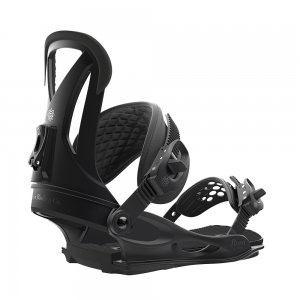 Looking for bindings that let you push into the backcountry and sample the steeps? 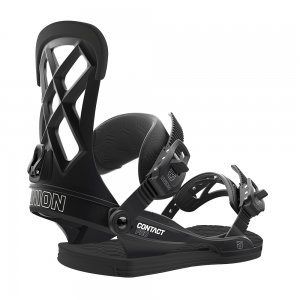 Strap in with ease, plus score the connection and response you crave from the Union Expedition splitboard bindings. 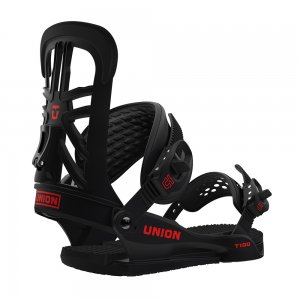 Developed, used and abused by professional snowboarder Travis Rice, Union Falcor men's snowboard bindings feature a streamlined highback design with lateral freedom for a flowing, controlled ride. Durable, lightweight and sporting just the right amount of flex, the Union Flite Pro snowboard bindings are the perfect choice for endless park laps. They're highly tweakable for your ideal setup. Crafted with durable materials and built to handle a variety of riding conditions, the Union Force snowboard bindings deliver the reliability demanded by pro athletes and weekend warriors alike. Step up to big drops and technical lines with Union STR men's snowboard bindings. 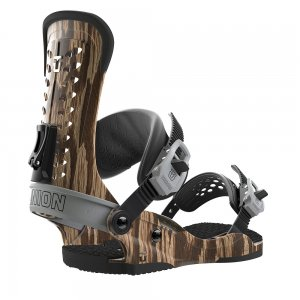 They offer high-end perks, including Bone Out binding straps that minimize pressure points in critical ankle zones. 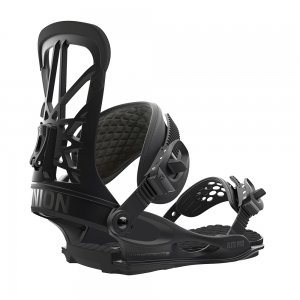 With vibration-damping baseplates and carbon highbacks that let you drive through every turn, Union Ultra FC men's snowboard bindings are ready to progress your freeriding to the next level. With a 5% binding-to-board contact area, Union Ultra men's snowboard bindings come equipped with stiff carbon highbacks and grippy baseplates that lend a surfy feel for slicing through fresh pow.